Oh fall, one of my favourite times of year. The trees change colour, the air becomes crisper and apples are ripe and abundant on Salt Spring Island! Apples are so celebrated on the Island that we actually have a day long festival dedicated to them. 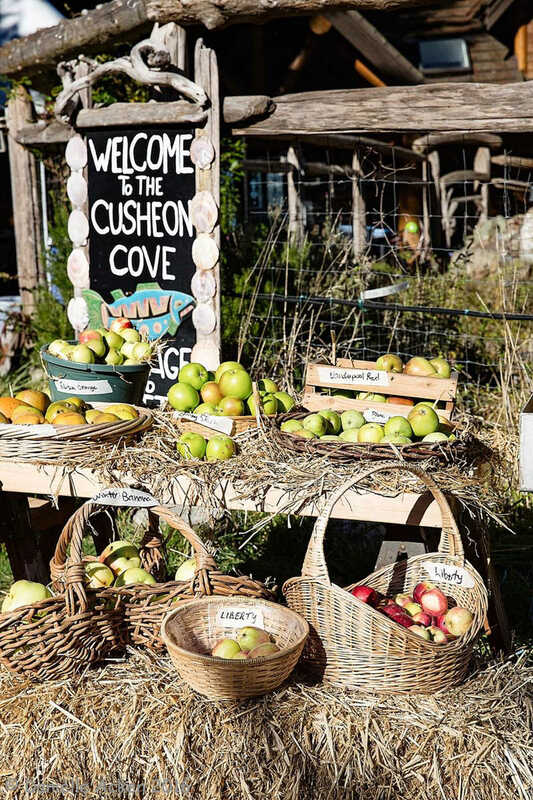 The festival consists of a day full of apple farm tours, educational seminars, delicious apple inspired food and drinks and of course a celebration of the over 450 varieties of organic apples grown on Salt Spring. Yup you read that right, over 450 different types of apples with heirloom seeds dating back to the 1800’s! The Apple Festival is one of my favorite celebrations on the Salt Spring Island and it’s a must see if you are planning a visit to the island. Apples are one of my most loved ingredients to bake with. They are so versatile and can be used in both sweet and savory recipes. People always ask me when making an apple pie, what is the best type of apple to use? Most recipes call for the classics Granny Smith tart apple but I would have to say I strongly disagree! Yes it absorbs flavor well and adds a nice zing to the pie but it’s nothing to write home about in my books! Maybe I’ve just become spoiled while living out west on my abundant apple island but there are so many different types to choose from when picking an apple to bake with! So, what do I use?? My favorite is the Wolf River Apple. This apple is one of the biggest, most crisp and perfect flavor apple I have ever tasted. I find it really important to use a sweet crispy apple for pies. That way the apple pieces still hold a bit of shape, absorb flavour and you don’t have to use quite as much sugar to cut out the sourness of a tart apple. My second favourite combination is the Fuji, Pink Lady and Spartan apple combo. They are actually my favourite for eating too!